My heart fluttered as a big ball of light slowly setting at a distance caught my attention as our plane descended in Caticlan. Finally, catching a Boracay sunset will be an item to be ticked off any moment from now. Or as I thought so. But for some unfathomable reason, it took a while before our group boarded a boat going to Boracay Island that the only view that welcomed us was a wonderful streak of orange and red hues on the way to the island. So near yet so far. Nothing to worry, though. I got a very intense feeling that the next few days of rekindling my love for this island will be nothing short of amazing. 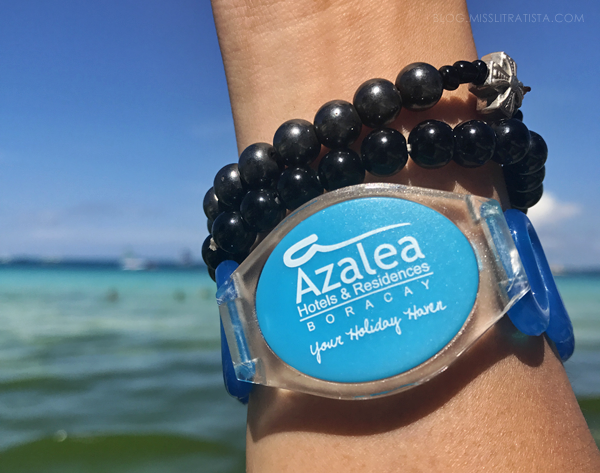 Together with new friends from the print and digital media in Davao City, our group was flown in to the beautiful island of Boracay to experience a summer getaway taken care of by Azalea Hotel and Residences Boracay. At first, I was feeling anxious and intimidated considering that my companions were mostly the people who I look up to in the print and digital media. But lo and behold, it turned out that my anxiety had no apparent source at all, as these people turned out to be the craziest bunch I’ve ever traveled with, even in the absence of alcohol. 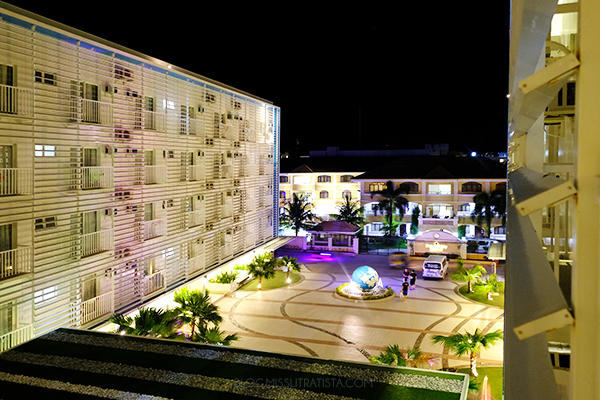 Grandiose as I would first describe it, Azalea Hotel and Residences Boracay is definitely not hard to miss. Even at night, one can’t help but easily notice what seems to be like an all-white six-storey condominium complex flourishing amidst the rising developments in the island. 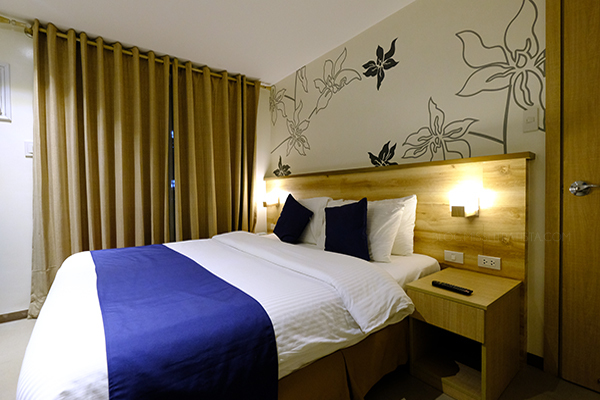 Taking pride as Boracay’s first 4-star serviced apartments, Azalea Hotel and Residences boasts of 284 spacious deluxe hotel rooms and suites, which makes it a perfect holiday haven on your getaway to one of the world’s sought-after destination, Boracay Island. We arrived at the hotel premises a few minutes before dinner so after a warm welcome, we were directly ushered into our respective rooms to freshen up and to prep ourselves for an expected long night. Just when I thought that the hotel façade was already enough to make me fall in love with this hotel, my jaw literally dropped at the sight of the 2-bedroom apartment suite assigned to us. 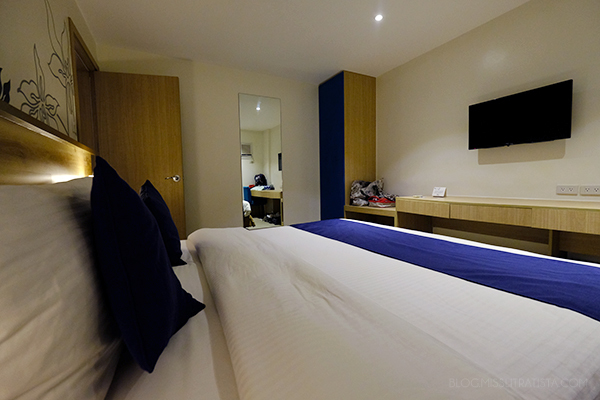 Plus, the tinge of cerulean blue accentuating the well-lit suite was more than enough to spark some island vibes. 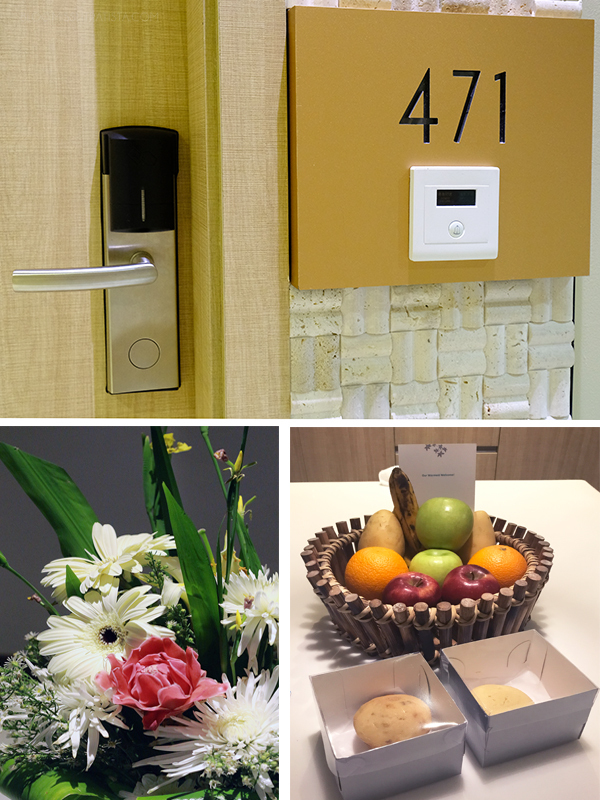 I commend how the hotel has managed to maximize the space in such a way that each apartment suite has living, dining and kitchen facilities. The living area has a couch which can be converted into a sofa bed. 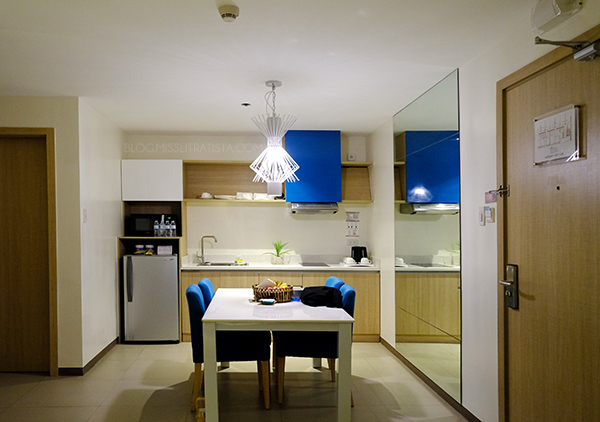 The kitchen area is complete with an electric cooktop with range hood, a microwave oven, rice cooker, refrigerator, electric kettle, cooking pans and the entire cutlery you need to bring out the chef in you. Noteworthy to mention, we were greeted with a basket of fresh fruits, complimentary bottled water and delicious muffin treats. 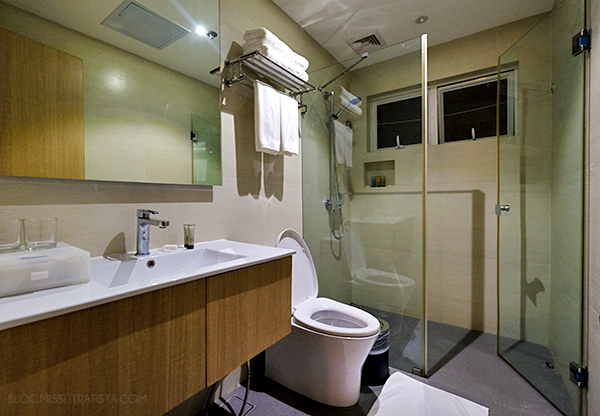 Our 2 –bedroom apartment suite is composed of a master’s bedroom with its own toilet and bath and another room with another T & B situated just outside the room. 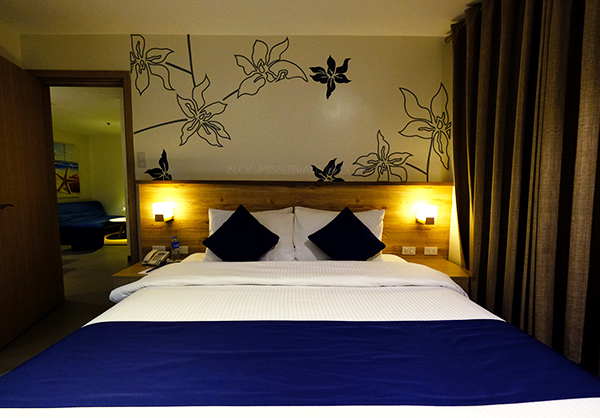 On top of the amazing facilities an Azalea suite offer, the ultra-comfortable beds stood out as these beds always make you look forward to having a good night sleep after a long day of island adventure and partying. Definitely relaxing, I always feel recharged and ready to sashay another long day every time I wake up. 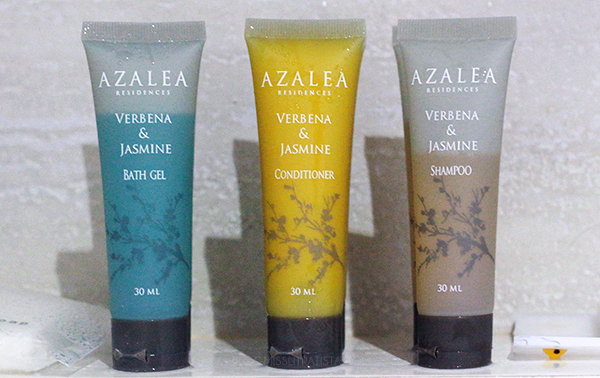 If it wasn't for our pre-arranged tour schedule taken care of by Azalea's holiday concierge, I could have just opted to stay on bed all day. 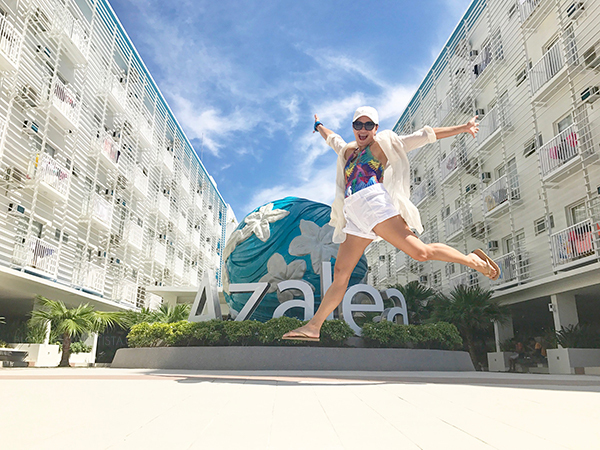 Azalea’s location in Station 2 is also perfect – it only takes a few minutes of walk to the island’s famous white beach, the D’mall, food establishments, restaurants and bars. 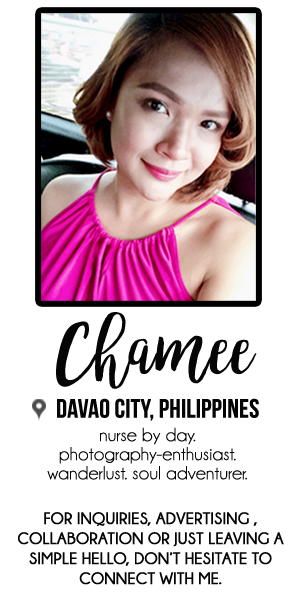 It also has access to the main road and nearby medical clinics. For me, I prefer a hotel away from the beachfront and loud establishments so that I can always retreat to a quiet environment and get that much-needed snooze after a full night of loud music and intoxicating booze. 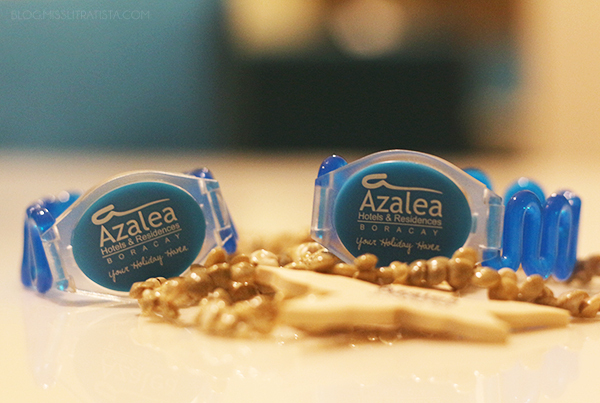 One exceptional thing in my stay with Azalea Hotel is their waterproof keycard wristband. Innovative and convenient, this RFID wristband is such a genius that I no longer have to worry bringing (or losing) my keycard everywhere I go. 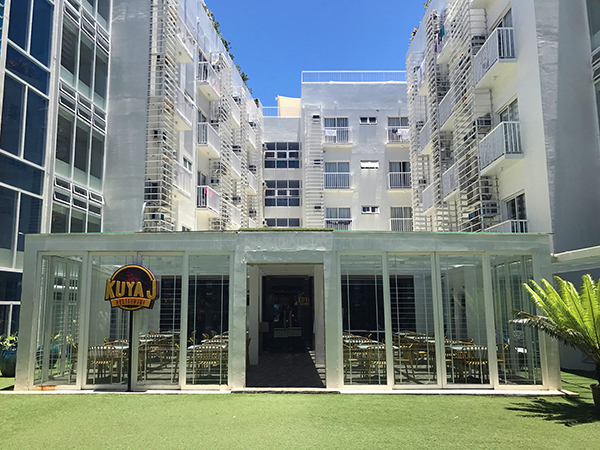 To energize us into a day full of activities, I didn't dare miss Azalea’s sumptuous breakfast buffet which is offered in their in-house restaurant, Kuya J. Be sure to get early though, as it can be jam-packed with guests, and make your way directly to grab that unforgettable (yes, even until now, I’m craving for it) pineapple jam to pair with their soft sliced bread. I’m not a fan of pineapple jam but the one from Azalea really blew me away that I could have hoarded bottles if it was available for sale. Avoiding the algal bloom at the beach? 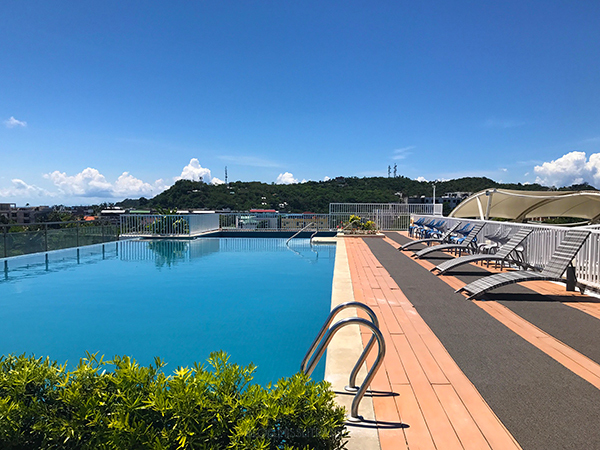 Head your way to the rooftop and take a dip at their heated swimming pool. A smaller pool is also available on the other side for the kids. I wish I could have taken an early morning dip though, but the bed won me a thousand times over. 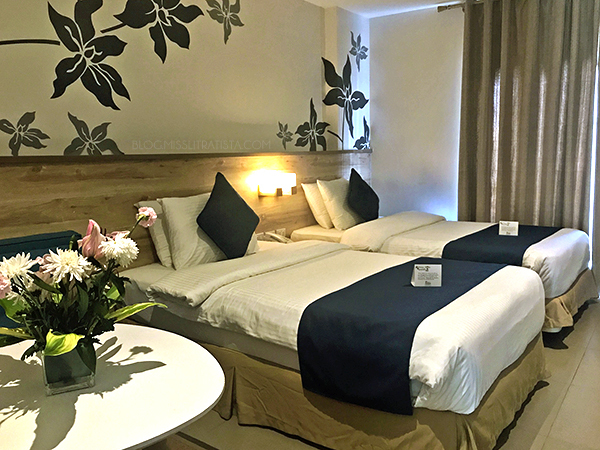 To say that Azalea Hotel and Residences Boracay has everything that you need for a comfortable and fuss-free stay is actually an understatement, considering that they can provide you with MORE than what you actually paid for. 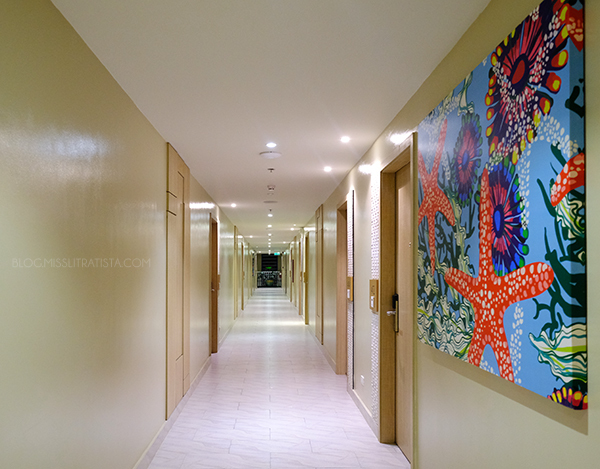 Holding the banner for being the first 4-star serviced apartment in Boracay, it sincerely lives up to its name by providing exceptional world-class service. 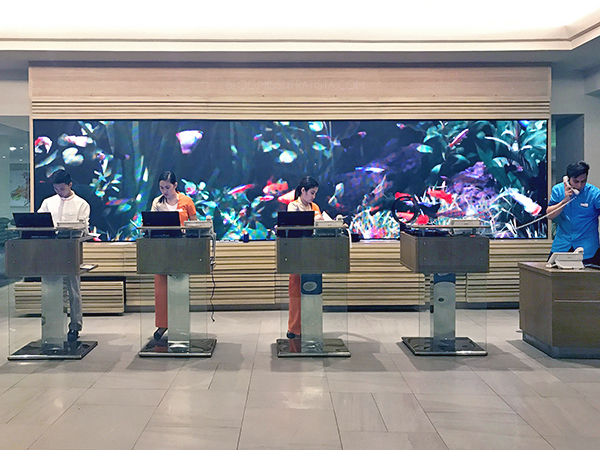 Not only that the hotel can assist in fixing your itinerary if you need to, their friendly, competent and good-looking staff are always ready to cater to your needs, from arrival to departure and everything in between. 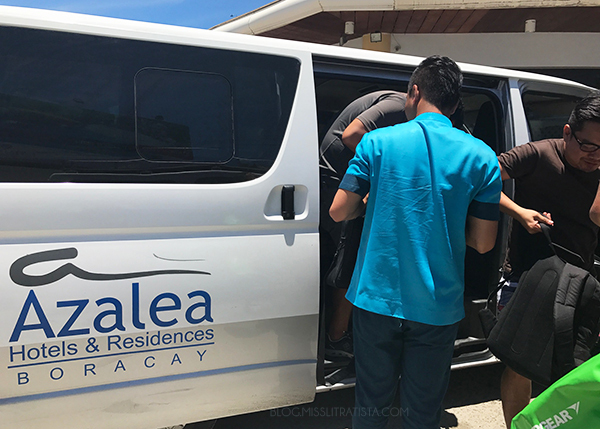 Since our activities were arranged by Azalea, our team got to experience their remarkable out-of-the-box service during our island hopping tours and activities, and mind you, it’s their topnotch hospitality that would make you think twice of extending your stay. 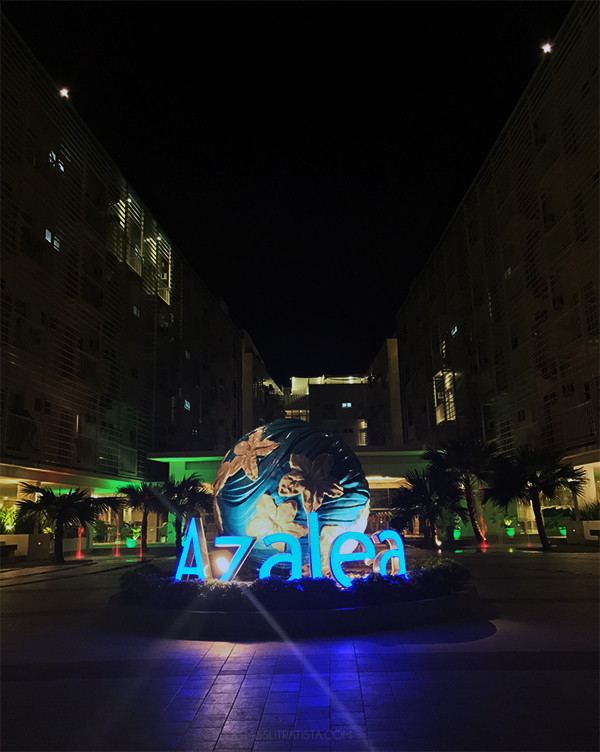 Azalea Hotels and Residences Boracay is not just a holiday haven – it’s more like a home away from home that even the allure of a pristine white beach or the thrill of a night life would find it hard to entice you away. It looks like such a great place to visit! 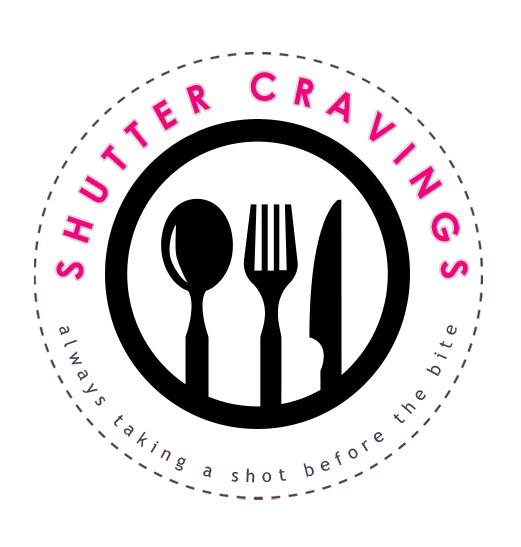 Any blog for El Nido Palawan?